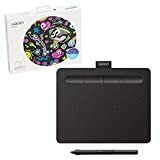 If you like the idea of using your computer to produce graphics, drawings and other artwork, then you might be well advised to have a look at a graphic tablet. These allow an input that is much more natural and intuitive - most use a stylus (electronic pen) as one mode of input, so it really is very similar to old fashioned drawing on paper with a pen or pencil. These devices used to be the preserve of professional graphics artists - but you can pick them up for very reasonable prices these days. So have a look at some graphics tablets and see if you can allow your digital creative juices to flow a little more easily. Graphics Tablets - What Can You Expect? If you have already tried to produce drawings using a standard mouse, then you will probably be aware of just how frustrating that can be. It's not impossible - but it's far from easy or intuitive. Using a graphics tablet can open up a new range of possibilities, and generally make the artistic experience easier and more enjoyable. There are a variety of different graphics tablets available. I use a Wacom Bamboo tablet myself, which is very reasonably priced and more than sufficient for my needs. You should be able to find something that would work for you for well under $ 100, and quite possibly below $ 50. At first, using a tablet might take just a little getting used to. However, once you've been using your chosen tablet for even a little while, you'll be pleasantly surprised at how much easier certain activities become in comparison to using a mouse. Greater accuracy and more precise control - especially for fine detailed work. Comfortable to hold and use - just like a traditional sketchpad. Hot keys help you to work faster. Editing and creating images, photos and drawings is easy and fun. Depending upon which graphic tablet you choose, you may have multiple ways to perform the same task using your graphics tablet, e.g multi-touch, stylus, both. Pick the method that suits you best. The first step to using your graphics table is to find a flat, stable surface to place your tablet on. However, you can position on your lap or balance it on your knee, just as you would do with a paper sketchpad, if you want. Connect your tablet to the USB port of your computer and you're ready to go. 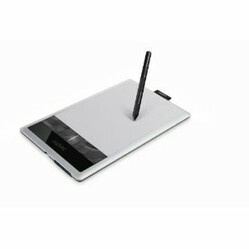 A short tap from the stylus upon the tablet surface is equivalent to one mouse click. Hold the stylus on the tablet for a little longer and that will produce a right click. As with a mouse,the cursor position on the tablet also controls the cursor position on your computer screen. You will find drawing on a graphics tablet to be a simple and intuitive experience - which is every bit as easy as drawing on paper. It's a lot easier than trying to draw with a mouse, and once you've been doing it for a little while you'll be pleasantly surprised at how natural it feels. Most tablets come with a basic art and/or image editing program these days. That will normally be more than enough to let you get started. You can always experiment with higher end programs once you have gained some experience and a degree of mastery with your new graphics tablet. I have one of the smaller, older Bamboo Graphic Tablets and I absolutely love it! Everybody that does more than resizing a photo does need one!